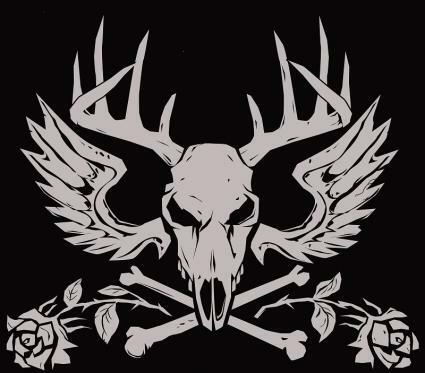 Hunting enthusiasts and lovers of tough tattoos alike can find something to appreciate in the deer skull tattoo design. A variation of the popular skull tattoo, deer skulls are worn by men and women for a variety of reasons. As with any tattoo, people can also assign their own meaning to the image, along with a personalization of the design. While the deer skull itself is a fairly straightforward design and too much variation would render it unrecognizable, there are several ways that the tattoo can be rendered. The most traditional image of the deer skull is facing straight out, vertically, with the antlers moving off symmetrically to each side. This design can be small or large and can incorporate any size antler rack, with the number of prongs symbolizing something to the wearer. While the deer skull can be rendered in numerous ways, including gray scale and color, some of the most striking tattoo designs involve the deer skull done in black work. Leaving only skin showing at the eyes, nostrils and a few seams in the skull, the rest of the tattoo is filled in with solid black, giving it an almost tribal appearance. Variations include doing only the antlers in black work with a minimal design for the skull itself. Superimpose the image of the deer skull on top of a pair of angel wings to bring further symbol to the tattoo. The wings can sprout from just below the antlers and should be about as large or long as the antlers to avoid dominating them or becoming lost in the rest of the design. Rather than facing the deer skull directly at the viewer, give it some personality by having it drawn in three-quarter profile instead. This gives the viewer the impression that the deer is focusing on them specifically and can be used to render feeling, threat or emotion. Change the direction of the curve of the antlers to further add detail, interest and an emotional response to the tattoo. Curving the antlers down and in toward the skull can give a menacing look to the eyes of the skull, while stretching them up before curving in creates a friendlier deer. Scale the tattoo to fill the entire canvas on whatever part of the body it will be placed. The antlers need room to stretch out and bring the tattoo to life. A too small skull and antlers may make the tattoo seem dwarfed by its surroundings. Like all skull tattoos, deer skulls can be controversial, with many people finding them macabre, gruesome or menacing in appearance. 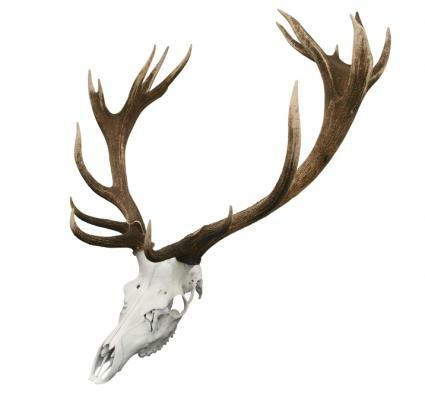 If the deer skull speaks to you for any reason, make sure to incorporate elements of what makes it meaningful into the design. This will ensure it's a tattoo that never loses its hold on you.